AN IPSWICH magistrate has told a Sudanese refugee to think about how lucky he is to be in Australia before thinking about offending again. Ipswich Magistrates Court heard Deu Maketh Deng tried to run from police then "wriggle free" after they intercepted his car. Deng appeared in court, charged with driving while under the influence of liquor, with an alcohol reading of 0.217. At the time, his car was also subject to a police immobilisation order and had false registration plates attached. Deng, 29, from Collingwood Park, pleaded guilty to driving under the influence at Goodna on February 21; failing to provide a specimen for a breath test/saliva; failing to provide a breath specimen or blood for analysis; obstructing police; tampering/removing a motor vehicle immobilising notice; operating a vehicle during a number plate confiscation period; and breach of bail conditions. Police prosecutor Ricky Tsoi said Deng was intercepted in his blue Ford Focus but its plates were linked to a silver Commodore. Deng ran when police tried to arrest him. He was grabbed but when being walked back to the police car Deng "rolled his arm and attempted to wriggle free". Mr Tsoi said Deng was warned but continued to obstruct police and refused to give his name or details. He refused to give a breath sample and was taken to the police station and again refused a breath specimen. Mr Tsoi said Deng has prior offences for unlicensed driving and failing to provide a breath specimen. The prosecutor said the offences were serious enough to bring a suspended jail term into range. 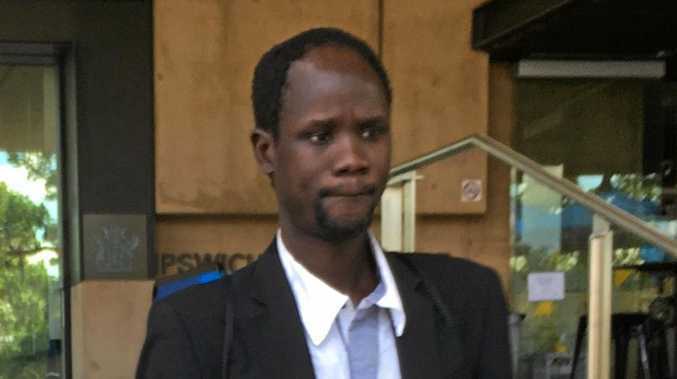 Defence lawyer Amy Little said Deng had five brothers in boarding school in Nairobi, Kenya, and his mother lived in a refugee camp with an older brother. Deng helps the family financially and pays his mother's medical bills. Ms Little said he was employed by Anglicare. "He agrees with police that he becomes argumentative and belligerent when under the influence of alcohol," she said. Magistrate Tracy Mossop noted Deng was fined $600 and disqualified from driving when he failed to provide a breath specimen four years ago. 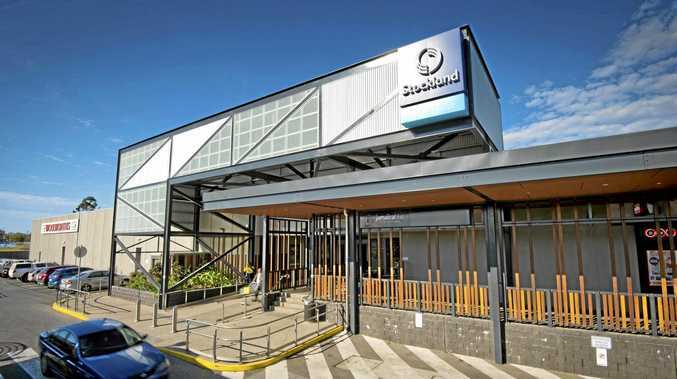 "You were caught driving when you shouldn't and you refused to co-operate," Ms Mossop said. "You then obstructed officers by running and attempted to wriggle free. "I understand you had a difficult upbringing. Don't abuse the privilege of living here. "How would your family feel that you are drinking and breaking the law? "Think first of your family before you offend." Deng was fined $800 and his licence disqualified four years. He was placed on a 12-month probation order.